'The aims and objectives are the preservation and protection of health, the advancement of education and the relief of distress within family relationships supporting children, their parents/carers and significant others i.e. grandparents, based in Cardigan and encompassing Ceredigion, Carmarthenshire and Pembrokeshire. The provision of a resource and advice centre to advance the education of the public in good parenting skills and the provision of facilities for recreation and leisure time occupation in the interests of social welfare with the object of improving the condition of life of the inhabitants of Cardigan ,Carmarthenshire, Ceredigion and Pembrokeshire'. Linda is retired. She was formerly an experienced qualified nurse in the areas of general nursing, psychiatric nursing and learning disabilities nursing. Linda has extensive experience of senior management in both the public and private sectors, leading a number of diverse teams. 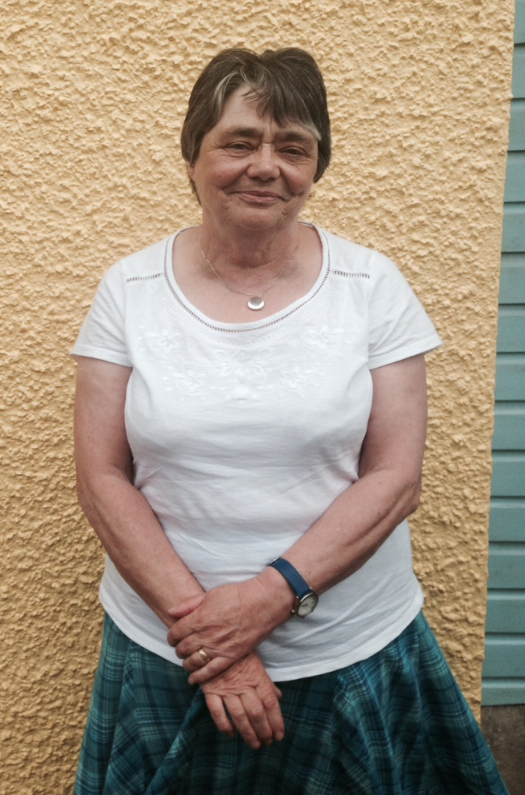 Linda was an elected town councillor for 17 years in Wales and has been Mayor of Cardigan on three occasions. 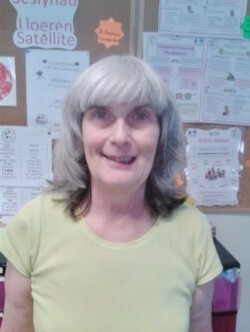 Linda is currently a trustee of Dyslecsia Cymru, she is on the Board of Cardigan Hospital's League of Friends and is an active volunteer for the Lucy Faithfull Foundation, delivering Parent protect training to health and social care professionals and members of the public for the Foundation's Stop it Now! Campaign. Within Jig-So, Linda provides leadership and is a strong advocate for staff development. With her extensive experience of children's services Linda is the designated person responsible for safeguarding. Linda is particularly skilled at identifying new and innovative approaches to service development and she is an excellent networker. Linda demonstrates well developed skills in persuasion, influencing and negotiation. Brenda is retired. Her early career saw her as Deputy Manager of one of the first Family Centres in Britain for National Children's Home (NCH). Having moved to Pembrokeshire, Brenda worked for 20 years in both Dyfed and Ceredigion Social Services in various teams dealing with children and families. 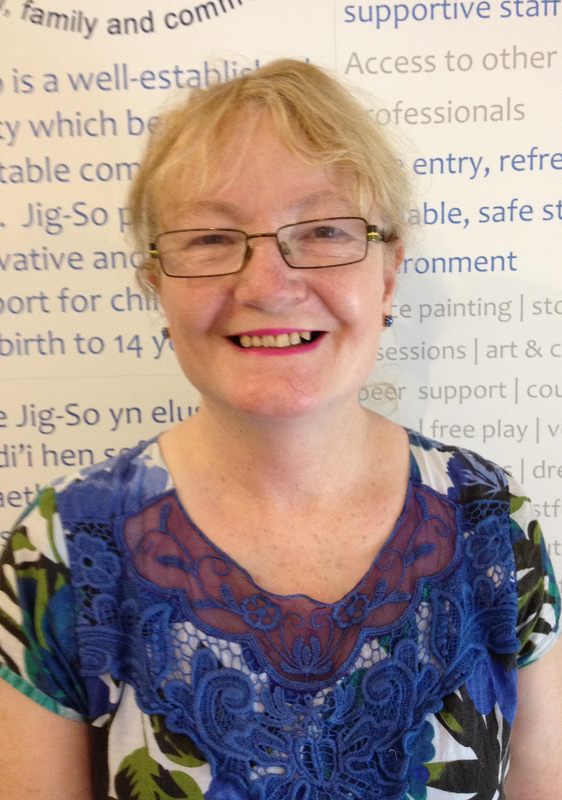 Brenda established Jig-So as part of her role in Social Services, with a view to it becoming independent. Brenda has been centrally involved in establishing a number of community-focused initiatives locally including Cardigan Play scheme, Toy Library and After School Club.. She has been a trustee for a number of organisations over the years and currently, in addition to her role in Jig-So, Brenda is a trustee for Canolfan Hermon, a successful community social enterprise. Brenda has a range of general management skills. She has experience of project management and an understanding of the commercial aspect of running a social enterprise. Diane is an Integrative Art Counsellor and is currently employed as a school based counsellor with Area 43 and a volunteer counsellor with Seren. She has an extensive knowledge and experience of working with children, young people and families. As an After-School club leader and playground leader she was able to support children who had extra needs due to their disabilities. Previously Diane has also been employed as a Refuge and Childworker with Women’s Aid. She has also been a Hospital Play specialist. Jig-So regularly reviews the skills profile of its board and will post any information regarding the recruitment of new members on this page.